Temps in the 40s, overcast morning turning to partly sunny late in the day, Wind N 10-20 mph. We have never had a September trip without Black Oystercatcher, but it took ten days to finally catch up with one — actually six today. 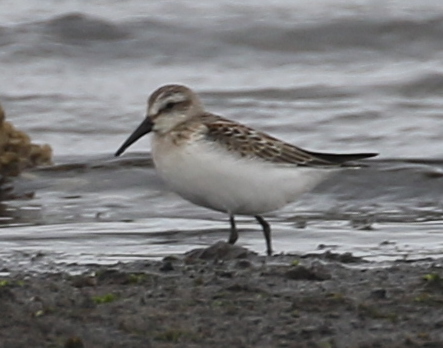 The other big misses so far are Ruddy Turnstone and Long-billed Dowitcher. We have had them on every September trip. But, so far, they have eluded us. 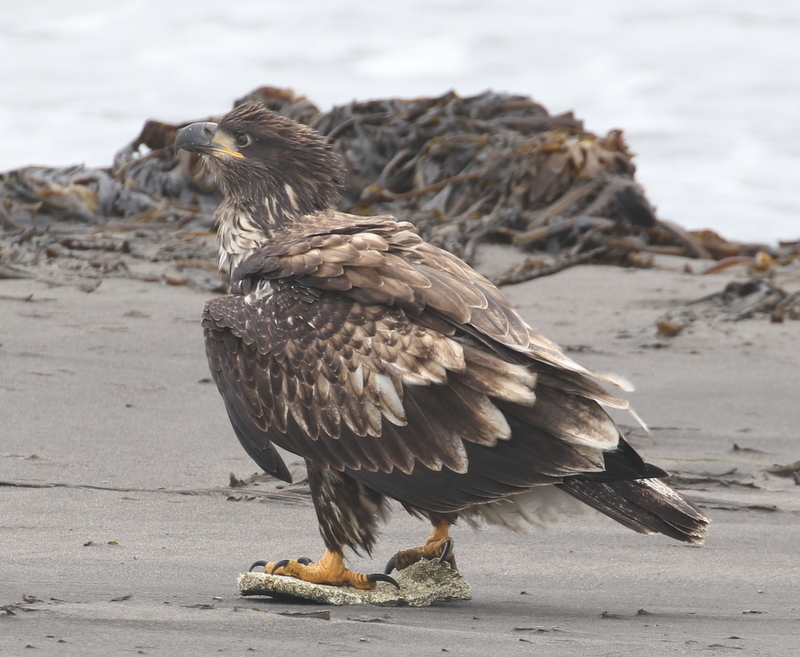 Here is the obligatory Bald Eagle photo for the trip. There was still one Pacific Golden-Plover at Contractor’s Camp Marsh. 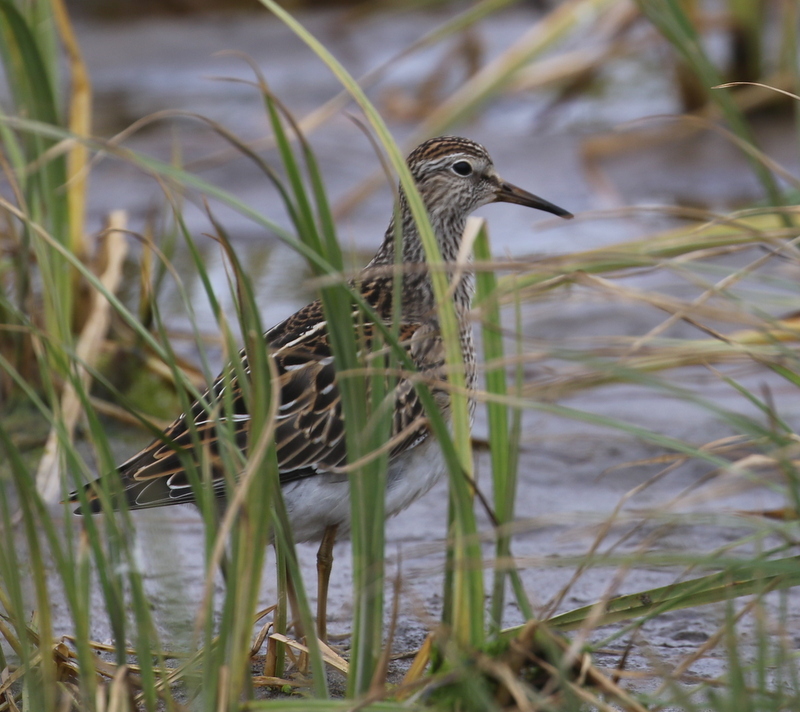 I walked the Clam Lagoon marsh today and had several Sharp-tailed and Pectoral sandpipers. 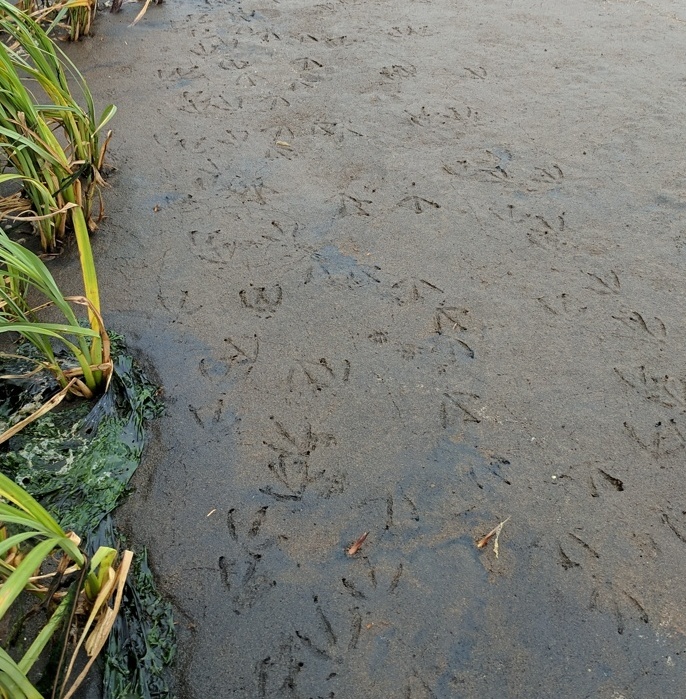 Along the edge, there are always tracks from the flock of Common Teal that feed there every day (mostly in late afternoon). Since we have been here, we have seen Red-breasted Mergansers in only small flocks. Usually, we see much larger numbers this time of year. Well we found them today in the bay north of Candlestick Bridge where a few hundred were hanging out. The Emperor Goose number stands at three. And there was a flock of 30 Sanderlings on the flats today. This entry was posted in 2017 September by pabirds. Bookmark the permalink.